Paperback, 6.25 x 9 in. / 112 pgs / 80 color. A member of the Polish '60s art collective Zero-61 and the '70s Film Form workshop, Józef Robakowski (born 1939) has created films, videos, installations, performances and photographs that explore the materiality of these mediums. 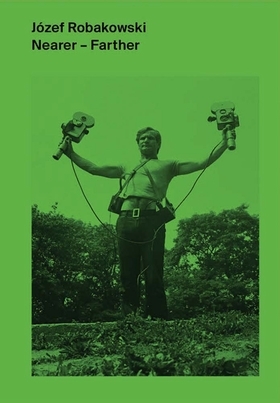 This catalog provides an account of this key protagonist of avant-garde Polish culture. FORMAT: Pbk, 6.25 x 9 in. / 112 pgs / 80 color.